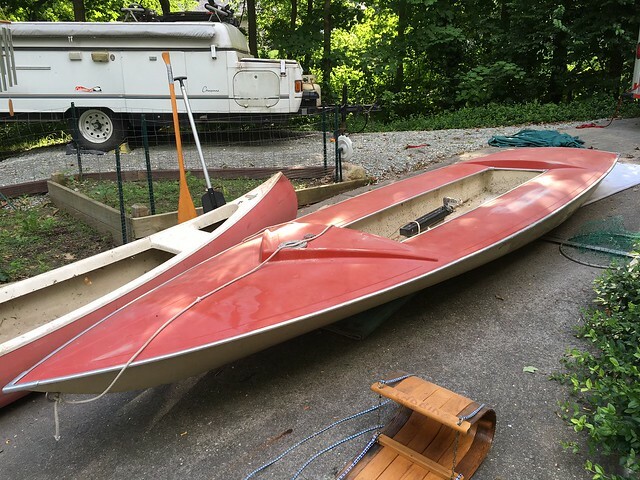 I recently inherited my grandpa's Man-o-War (along with a canoe, a little styrofoam sailboat that came free with a hot tub purchase and a really cool toboggan)! 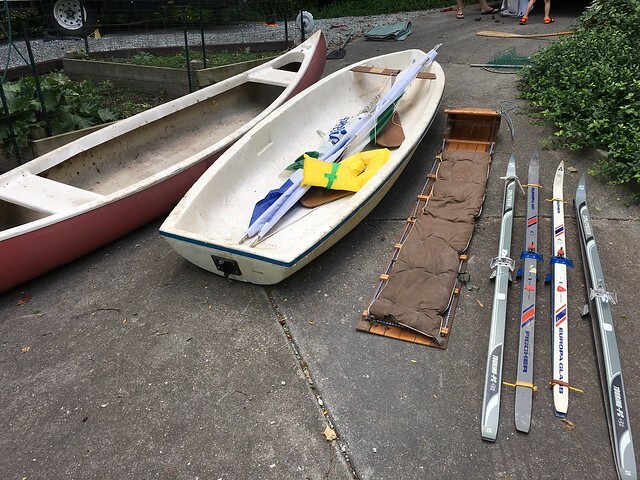 I live on a small 88-acre lake in Indiana, and can't wait to learn how to use this boat and teach my kids how to sail. The boat looks to be in really good shape, but I am missing the tiller/rudder assembly, sail, and daggerboard. I do have the mast. I will look around on the other boards and see if I can find parts for sale, but figured I'd start here. Any advice would be appreciated! The Man-o-War is one of the Chryslers I've never had! I've always wanted to try one though! They have a great following! Parts and pieces are around! Religiously check craigslist and other yard sale type places and parts come up! We have a for sale section here, watch that also as odd things pop up from time to time! Don't be afraid to ship parts and pieces also! It can be costly at times but you can shop larger areas. I had a boom shipped from Florida to Washington State once! Pricey? yeah, but I got what I needed! That red hull likes like it would easily polish up and look even better! Thanks....very kind of you. Grandpa died quite a few years ago, it's just finally time to clean out the garage of all the toys! Appreciate the tips!